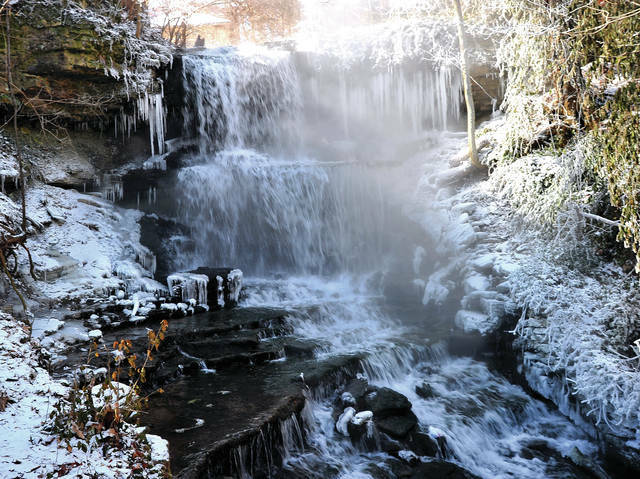 Mike Ullery | Miami Valley Today Steam rises from the falls in West Milton on Wednesday as water continues to flow during an arctic blast dropping temperatures in Ohio below zero and wind chill factors reaching -40 degrees. Steam rises from the falls in West Milton on Wednesday as water continues to flow during an arctic blast dropping temperatures in Ohio below zero and wind chill factors reaching -40 degrees. https://www.dailycall.com/wp-content/uploads/sites/30/2019/01/web1_013019mju_weather_westmiltonfalls.jpgMike Ullery | Miami Valley Today Steam rises from the falls in West Milton on Wednesday as water continues to flow during an arctic blast dropping temperatures in Ohio below zero and wind chill factors reaching -40 degrees.